WOW manning is so cute I want him when they let him out. He can have a sleep over with me any time. Good trolling, Phunnie boy. How much does the M.I.C., the Tea Partiers or the right-wing politicians pay you to do this? They sure know how to put words in your mouth!!! Heay Pfunnie boy I like boy's come to my house some time we can play hide the snake. love patton. Well he made his bed, Hope he likes black and white tv if he can have one because that's going to be his friend. He will get 20 years in a military prison, forfeiture of all pay and benefits, and a dishonorable discharge from the United States Army. I'm afraid that you're right, Ricardo. Like JFK once said, life is not fair! Just look at those filthy pigs in our military who abuse their female counterparts and get away with it! This is enough to make a billy goat want to puke!!! hey phunnie boy, that terrorist wannabe Nidal Hasan made my billy goat puke too. This kid is an open and closed case. There is really no debate this is a traitor. Lock him up and throw away the key or put him down. There is actual legitimate debate over snowden. Complicated greatly by his choices of where to go immediately after doing what he did. Although it is inevitable people will die from it given enough time, there was a legit situation to call him a whistle blower. Not sure I would want to be the guy to judge his case. If I were the President, Random, I'd pardon this young man the very minute those goons convict him. Unfortunately, Barack Obama works for the all powerful M.I.C. in Washington and does whatever they tell him to do just as George W. Bush did. We need a man like Theodore Roosevelt who'll stand up to special interest groups like this. Unless we get one, this country will be on a downward slope. he has betrayed his country, case closed. Take him away. If I know the injustice system as I'm afraid I do, Pfc. 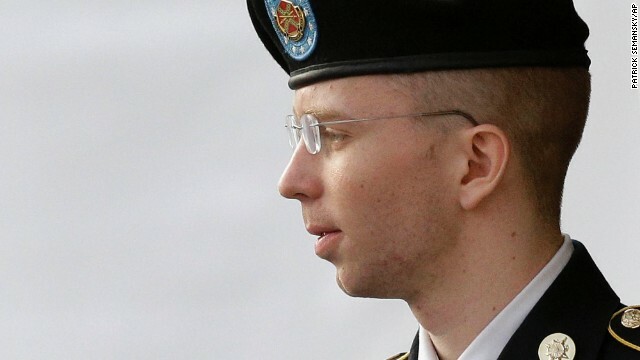 Bradley Manning will be found guilty as sin and get the book thrown at him. On the other hand, those pigs in our military who abuse their female counterparts, will receive no more than a slap on the wrist in the majority of their cases. This is why I call it the injustice system! Sorry folks, I never posted the above. Some lawbreakers loving, terrorist sympathising phunnie boy is trying to make me look him, jerk. He's gonna guilty ok. He told the world what the state department' consular employees dobmost of the time. Collect social gossip, stamp it secret and let it sit unused on the data files after some low level government official has a good laugh. Good grief Pfunnie boy, you must really like men who abuse women. Do you also like child molesters? I hope not!!! If you do, please don't post that under my name, please!